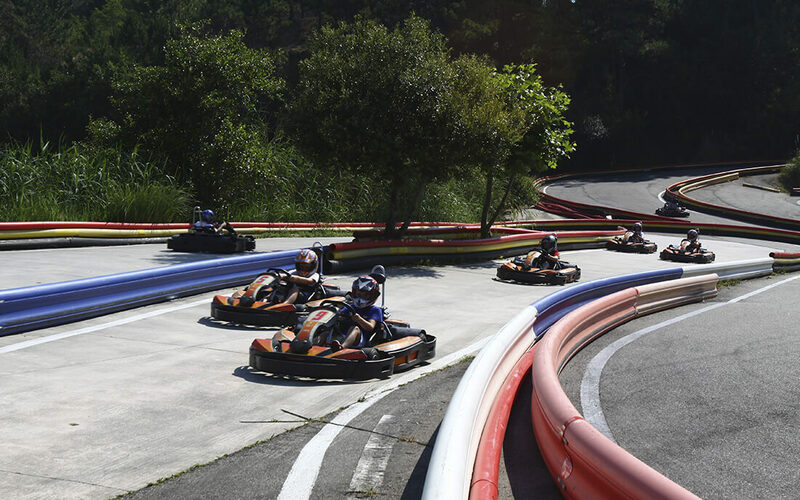 The Karting Area Recreativa Paris Dakart, one of the most important in Galicia with a 80000 m surface, is located in the touristic town of Sanxenxo, in the heart of Las Rías Baixas. It is located in Major beach, in Sanxenxo- O Grove county road (6 kms from Sanxenxo and 7 kms from La Toja ). From the bar terrace you will have an amazing view of Pontevedra estuary, Ons Islands and Onza. 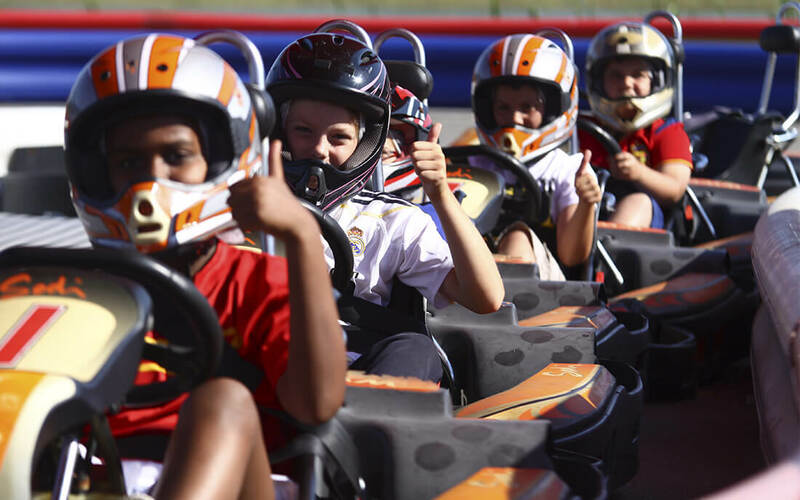 More than 60 karts for all ages. 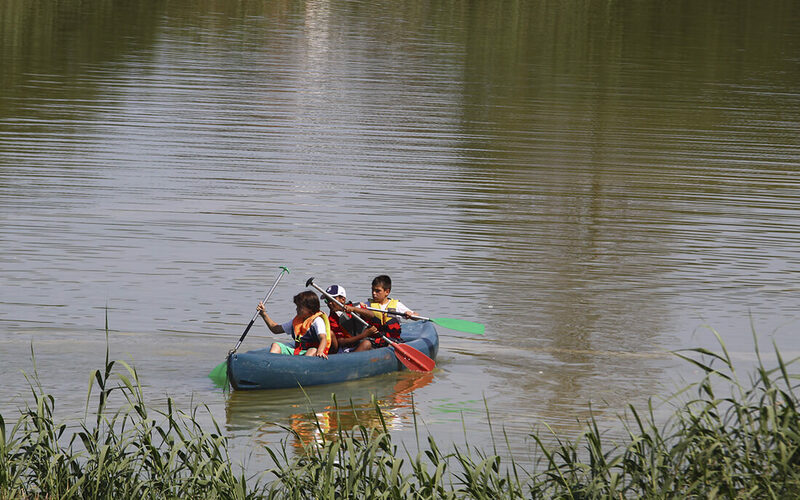 It is a unique playful sporting offer in Galicia. 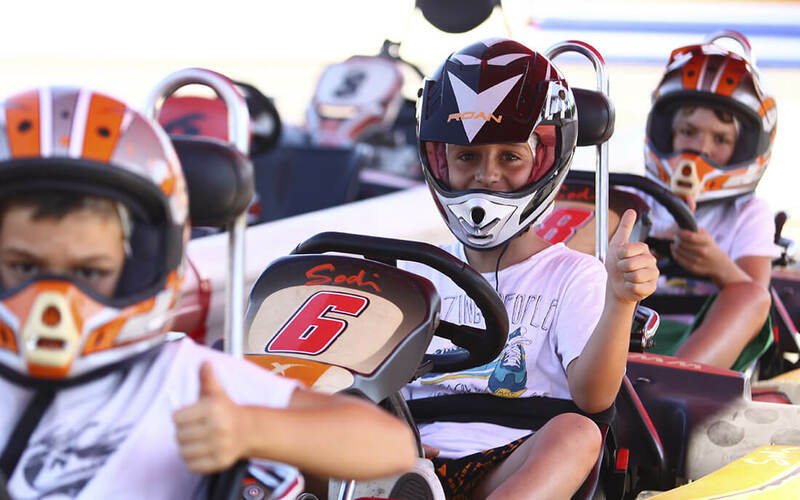 Celebrate your birthday with us and if you buy our kart promotion (2 tickets/ driver) either the adult or the initiation circuit we will give you a canoe and a mini golf ticket for each of the participants. We will also set aside an area in our snack bar for you to enjoy your birthday cake with all your friends! To reserve these services please notify us at least one week before the event.